What does your business need to grow sales, lower operational overhead, and increase client satisfaction? This is what motivates and guides us in working with you. Our business is built on the success of your business. Here are just a few examples where we produced outstanding results for our clients. 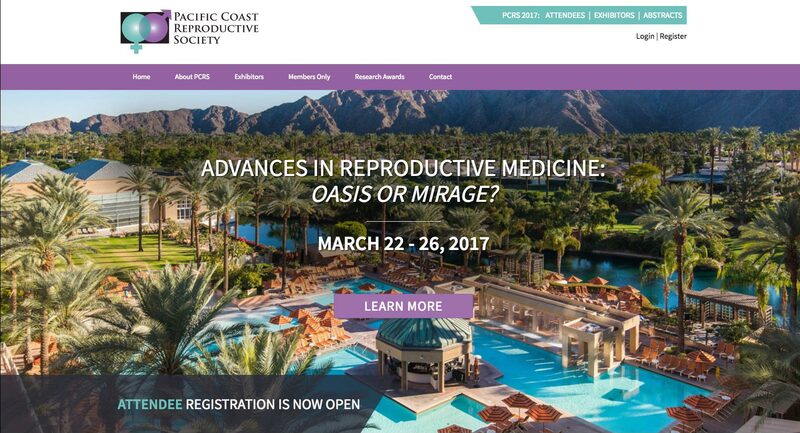 The Pacific Coast Reproductive Society needed a comprehensive way to create and manage their annual CME conference. In addition, they wanted a system where members could manage their individual accounts, connect with each other, easily renew their membership dues and register for upcoming events and conferences. Decreased operational overhead - client estimates they spend 35-40% less time managing their conference. The time saved allows the client to focus on creating new features that add value for their members. Improved revenue cycle - client was able to open exhibitor registration during their conference which resulted in filling 40% of available booth space within one day. Improved satisfaction - attendees, exhibitors, sponsors and faculty all reported that the new system improved their satisfaction with the conference. TD Media is a pleasure to work with. The new website and conference management system they created enhances the relationships with our members, attendees, sponsors and exhibitors. TD Media's insight, professionalism and hard work made this daunting task a success. I would highly recommend them, you will not be disappointed. Website conversion was not measured prior to TD Media's engagement. I absolutely love our new website!! I've heard from patients and referring physicians that it is so much easier to use. Thank you for all your hard work in developing and delivering an effective marketing strategy centered around our new website. You and your staff are wonderful to work with and we are so happy to have you as our online marketing partner. New Jersey Egg Donor is the in-house egg donor program for Delaware Valley Institute of Fertility and Genetics. DVIF&G wanted to jump start their donor recruitment and qualification initiatives with a minimal up front development cost. Using our DonorDB system, we were able to deliver a fully functioning donor recruitment, qualification and application system in six weeks. Qualify applicants through the use of yes/no questions. Applicants who do not qualify are never shown to the client, decreasing operational overhead. Manage the application process online. Applicants respond to over 600 questions. Work-in-progress applications can be monitored by the client. Accept / Reject applicants with automated email notifications. Generate PDF profile sheets of accepted applicants and email them to prospective matches. As the program grows, the client will take advantage of other features including donor database search, intended parent registration and matching. Please give us a call at (888) 560-0056 or fill out our contact form. Thanks!